London: England finished the five-match Test series against India on a high, as they won by a margin of 4-1, providing a perfect send off to Alastair Cook. 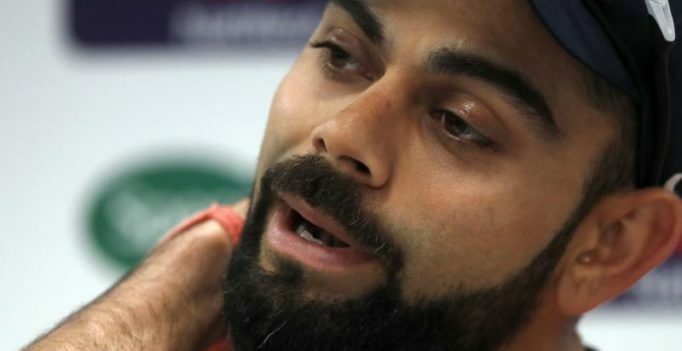 But at the series-concluding press conference, skipper Virat Kohli was at the receiving end of many tough questions from the media as the visitors slumped to another consecutive series defeat. “Nothing to take away (from England), the endeavour of this team is to travel well, compete and win. If you look at the last three years, we have won nine matches overseas and three series. I can’t see any other Indian team in the last 15-20 years that has had the same run in such a short time, and you have had some great players playing in those series,” Ravi Shastri had said ahead of the Oval Test. “You’re not sure? That is your opinion. Thank you,” responded Kohli with a cheeky comment. While the incident has caused a stir on social media, raising questions about Kohli’s attitude, Sunil Gavaskar has defended the Indian talisman. “That is probably the wrong time to ask him that question. He (Virat) must have been hurting from the defeat. Maybe the reporter was perfectly justified in asking that but I don’t think any skipper would have responded with a ‘you are right but we are wrong’ statement. To be honest, Ravi (Shastri) would have said that (best touring team in last 15 years) to lift the morale of the team. I don’t think so that he was trying to rubbish the earlier teams. That wasn’t the coach’s intention I believe,” the former India captain was quoted as saying by India Today. “His team was 1-3 down and maybe he just wanted to end on a high. I don’t think that we should read too much into Virat’s reaction either. It was clear that the skipper was disappointed with what had happened and maybe he responded that way,” Gavaskar added.